In a historic feat, the Indian Space Research Organisation (ISRO) launched a record 104 satellites today (February 15) from the spaceport of Sriharikota of Andhra Pradesh. With this, India surpassed Russia, which previously held the record for the most satellites launched in a single mission (37), and became the first country to launch 104 satellites in a single rocket. The ISRO also outdid itself by a huge margin as the highest number of satellites it had previously launched was 20. However, it used the same rocket this time—XL version of the Polar Satellite Launch Vehicle (PSLV). Of the total earth-observation satellites, three are Indian, 88 are from the US and the rest from Germany, Israel, Kazakhstan, the Netherlands, Switzerland and the United Arab Emirates. 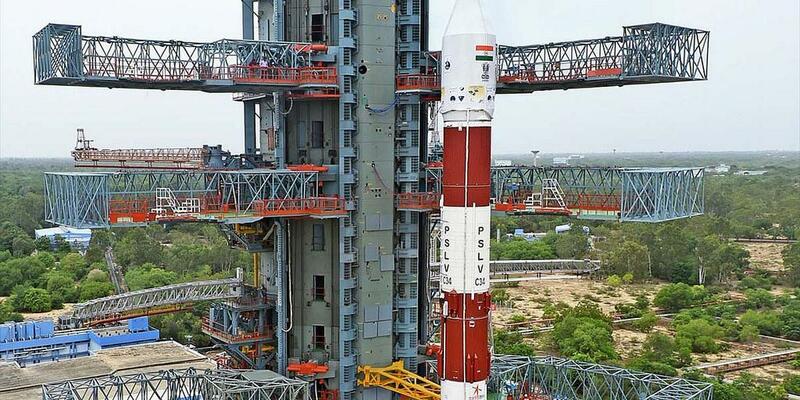 The PSLV-C37— a 320-tonne rocket—launched the satellites with a combined weight of 1,500 kg. While the Earth-mapping Cartosat-2D satellite weighed 714kg, the combined weight of 100 foreign micro or smaller satellites was 820 kg. In about 18 minutes, all the satellites were released into space, each travelling at the speed of over 27,000 km per hour. The 88 small satellites named 'Doves' will be used to image the earth at low cost. The PSLV first launched the Cartosat-2 and then 103 nanosatellites into the polar Sun Synchronous Orbit, about 520km from the Earth. Why is this ISRO mission important? Cartosat-2 Series, the primary satellite with a mission life of five years, will be similar to the earlier four satellites in Cartosat-2 Series. It will provide remote sensing services. Images sent by it will be useful for coastal land use and regulation, road network monitoring, creation of land use maps and distribution of water, among other purposes. The 88 small satellites will map every inch of the planet in super high resolution. With a surge in number of space-based applications, the demand for satellites is growing rapidly and this mission is a decisive step in that direction.